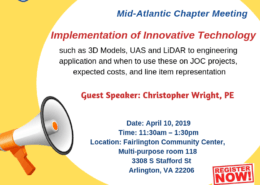 As the designated non-profit association for Job Order Contracting, and related IDIQ contracting methods, CJE provides best practices, education, JOC certification, CJP credentialing, resources, and networking for the collaborative project delivery methods. Do you have questions? Contact CJE for unbiased answers! We exist to help you experience success through the use of best practices and education. 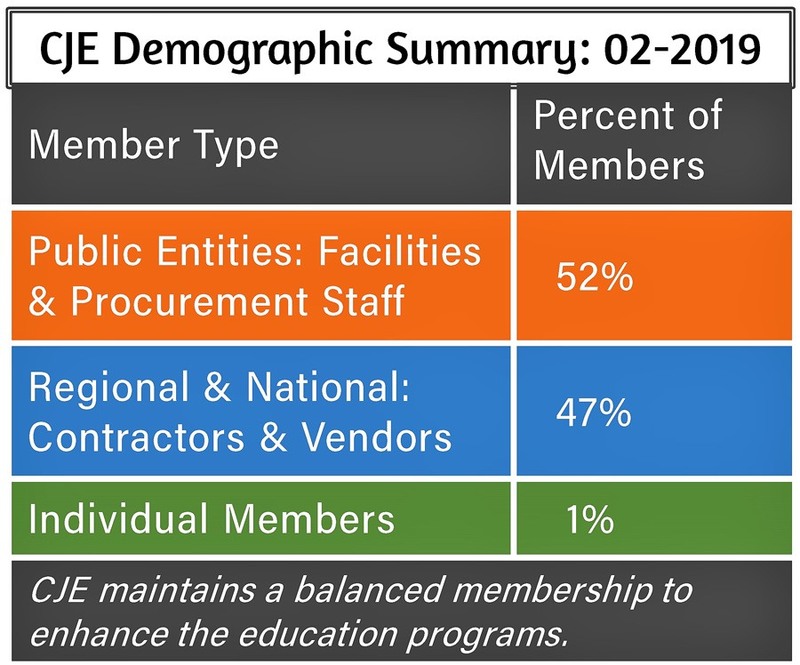 CJE is composed of professionals working together to create solid foundations for collective success including construction managers, project managers, facility managers, procurement professionals, contractors, subcontractors, engineers, attorneys, technology providers, suppliers, and educators involved in the most utilized IDIQ project delivery methods in America. 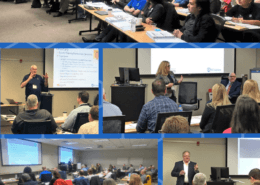 Access research, best practices, discounts on educational seminars, and gain a competitive advantage through the JOC Certificate program and the professional designation program as a Certified JOC Professional (CJP). 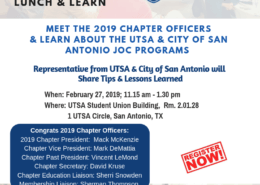 Please use the contact form for questions, requests, or schedule a presenter. CJE is the only unbiased nonprofit JOC resource so contact us to help you realize the attributes of a successful program. 2015: CJE Celebrates 20-years of Collaborative Excellence! 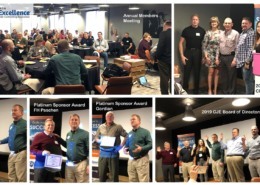 We educate, promote best practices, provide the professional JOC certification (CJP) program, and offer a networking forum for collaborative IDIQ project delivery methods. CJE’s JOC training and certification programs set the bar for excellence through the industry’s credentialing program. The training is a prerequisite for the CJP certification but anyone can take the training to learn and advance implementation of best practices. Questions? Visit the education page to learn more! 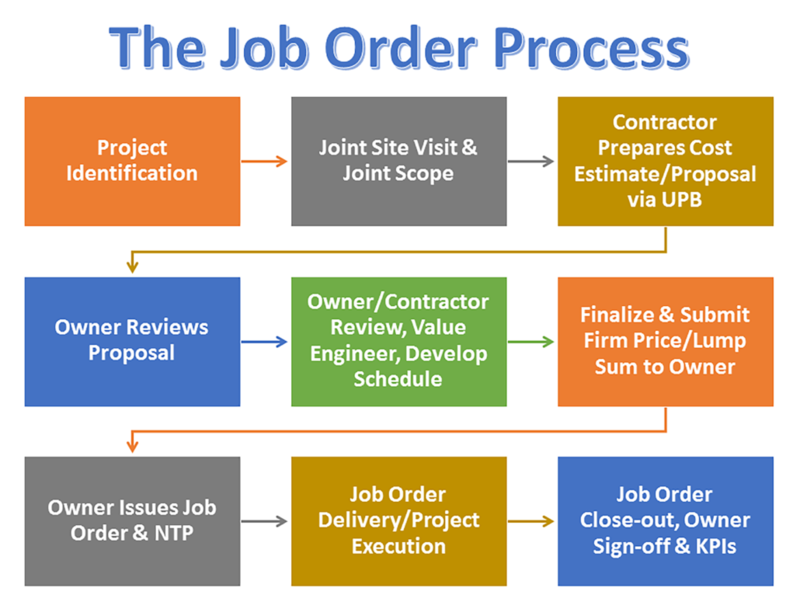 Job Order Contracting (JOC) is a project delivery method utilized by organizations to get numerous, commonly encountered construction projects done quickly and easily through multi-year contracts for a wide variety of renovation, repair and minor construction projects. JOC is most commonly used to clear deferred maintenance backlog, perform rapid response project needs, and construct renovation projects. A Job Order Contract is a competitively bid, fixed price, multi-year “umbrella” construction contract based on established or published unit prices via a unit price book (UPB) or a price list with a multiplier (termed coefficient) applied to the unit prices. The unit prices are used to price construction tasks associated with the scope of work. The contract is an IDIQ or indefinite delivery indefinite quantity contract for on-call construction services. The contract specifies a potential maximum amount of work over a specified term such as annual or multi-year term. Today, JOC has a 31-year record of implementation within the United States Department of Defense. Currently, there are thousands of successful contracts going by the JOC name or by delivery order contracting (DOC), task order contracting (TOC), on-call construction (OCC), IDIQ contracts, and its Defense counterpart of Simplified Acquisition of Base Engineering Requirements (SABER). 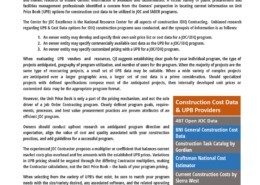 JOC work can begin between 55-65% faster than traditional contracting methods. Since the contractor is already under contract and on-call, the traditional procurement time is decreased. The nature of JOC having rapid deployment and full transparency provides facilities with shorter project duration, accurate and accountable expenditure documentation, and quality work since each contractor is performance driven. 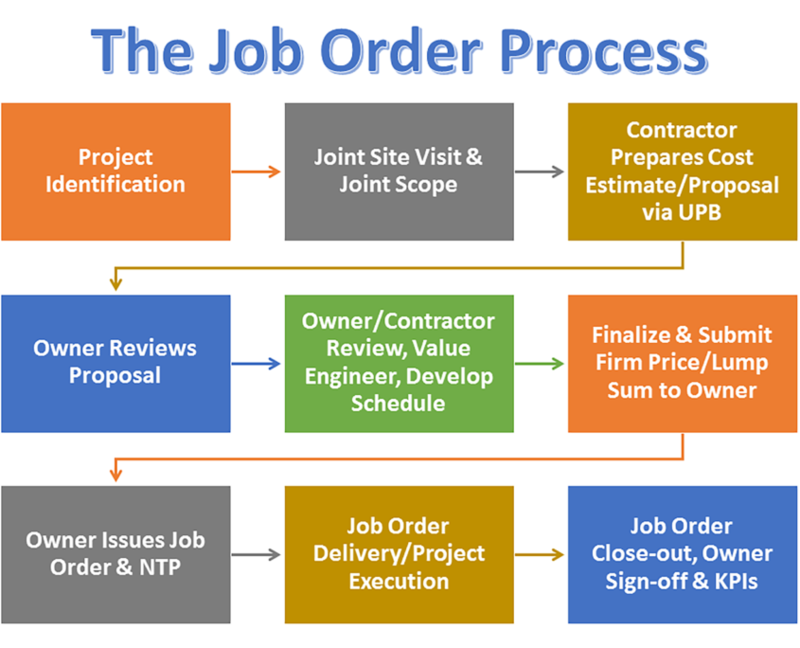 The awarded job order contractor is driven to generate the most responsive and quality performance in order to be awarded additional projects since JOC programs are performance driven. This results in public entities’ preference for adding JOC to their project delivery method options. 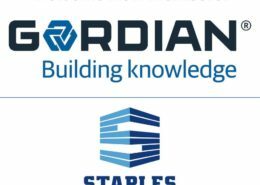 Job Order Contractors are specialized and are selected based on qualifications and performance as a best value procurement or lowest most qualified bid depending on local, state or federal statutes. A properly designed JOC program with a trained and experienced job order contractor functions seamlessly with performance, reliability, dependability and quality. The initial bid is a multiplier or coefficient applied to the unit prices in the unit price book (UPB) or list of unit prices. Most public entities utilize a published cost database as their UPB while others may utilize their own internal price list. Since JOC serves as a tool to work within budget and time constraints, entities usually procure their own long-term contracts or piggy-back. When the delivery method is only needed for a few projects each year, cooperative purchasing contracts are typically utilized. Industry research indicates that selecting your contractor based on on qualifications and best value to your team yield the most efficient results. JOC is a program not a project so selecting your partner for success is imperative. Who Uses Job Order Contracting? 99% of facility owners recommend JOC. 96% of JOC projects are completed with satisfactory results. 87% of JOC projects are delivered on time. 91% of JOC projects are delivered on budget. 24% administrative cost savings by using JOC instead of traditional delivery methods (Owners estimated average). 30% increased transparency, compared to other delivery methods. 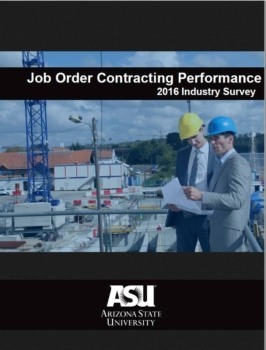 – Source: Job Order Contracting Performance, 2016 Industry Survey, 2016 Summary Report, Arizona State University (ASU) Del E. Webb School of Construction in collaborations with Center for Job Order Contracting Excellence. Congrats to the 38 new JOC Class Graduates! 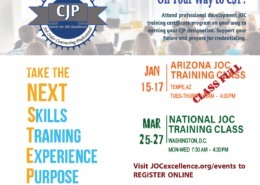 https://jocexcellence.org/wp-content/uploads/2019/01/2019-AZ-CJP-Class1-1.png 1146 799 brad https://jocexcellence.org/wp-content/uploads/2017/04/CJE-logo-1-300x76.png brad2019-01-21 18:35:542019-01-21 18:35:54Congrats to the 38 new JOC Class Graduates! JOC Training Classes are Filling up Fast. Reserve Your Seat Today! https://jocexcellence.org/wp-content/uploads/2018/10/2019-JOC-training-dates.jpg 1036 1200 brad https://jocexcellence.org/wp-content/uploads/2017/04/CJE-logo-1-300x76.png brad2018-10-23 12:42:362018-10-23 12:43:11JOC Training Classes are Filling up Fast. Reserve Your Seat Today! 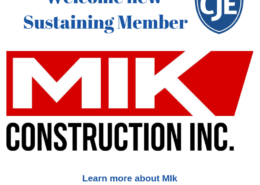 Welcome MIK to CJE as a Sustaining Member! 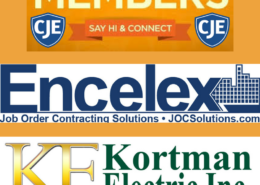 https://jocexcellence.org/wp-content/uploads/2018/09/Welcome-to-our-newest-Sustaining-Member.png 800 800 brad https://jocexcellence.org/wp-content/uploads/2017/04/CJE-logo-1-300x76.png brad2018-09-25 13:48:262018-09-25 17:30:59Welcome MIK to CJE as a Sustaining Member! Ready for JOC training online? https://jocexcellence.org/wp-content/uploads/2018/05/JOC-online-e1527276812940.png 450 900 cjeadmin https://jocexcellence.org/wp-content/uploads/2017/04/CJE-logo-1-300x76.png cjeadmin2018-06-25 14:36:112018-06-26 12:48:39Ready for JOC training online? 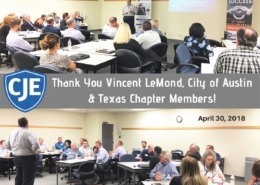 Another Great Texas Chapter Meeting! 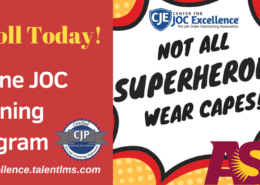 https://jocexcellence.org/wp-content/uploads/2018/05/TX-4-30-18.jpg 1147 1200 cjeadmin https://jocexcellence.org/wp-content/uploads/2017/04/CJE-logo-1-300x76.png cjeadmin2018-05-01 17:36:442018-05-01 17:36:44Another Great Texas Chapter Meeting! 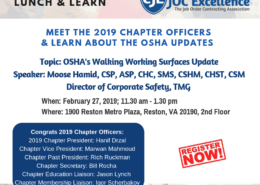 https://jocexcellence.org/wp-content/uploads/2018/03/new-members-e1522344801410.jpg 731 800 brad https://jocexcellence.org/wp-content/uploads/2017/04/CJE-logo-1-300x76.png brad2018-03-29 12:32:222018-03-29 12:34:37Welcome New Members!